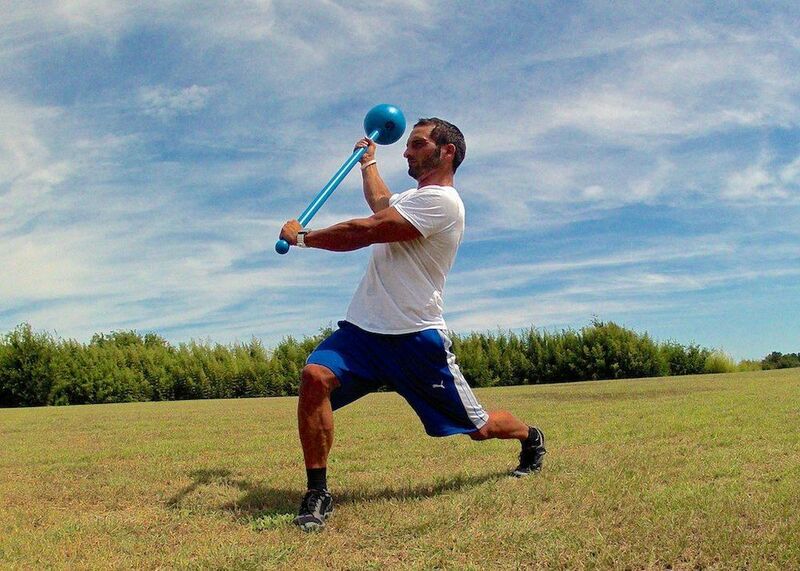 An incredible total body conditioning tool allows you to swing, hammer, balance, lunge, chop, and throw it! 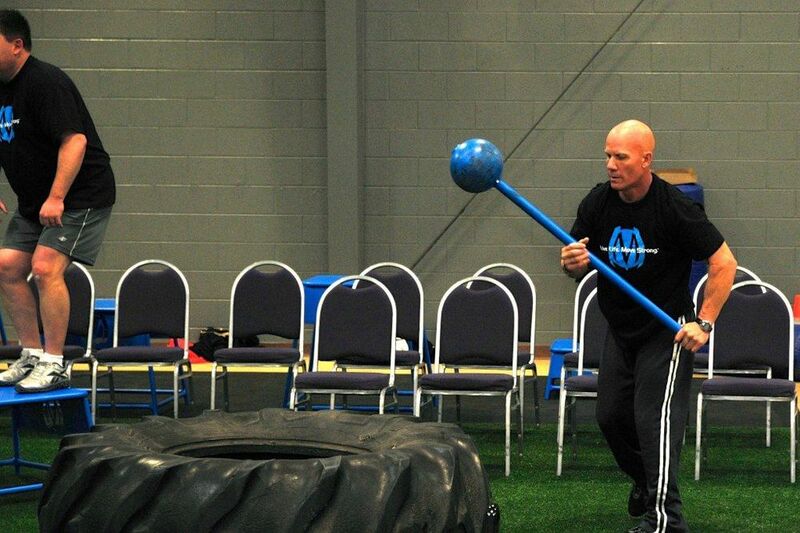 Designed to use for sledgehammer strength and conditioning exercises with a tire as well as performing a variety of swing and chop patterns to help mobility, core strength, and stability while engaging the entire body. The round head of our SledgeBell™ provides a straight-line rebound off tires when used like a sledgehammer. Traditional sledgehammer tends to rotate in the hands and twist the wrist as the flat hammer surface bounces off the tire at odd and unexpected angles. 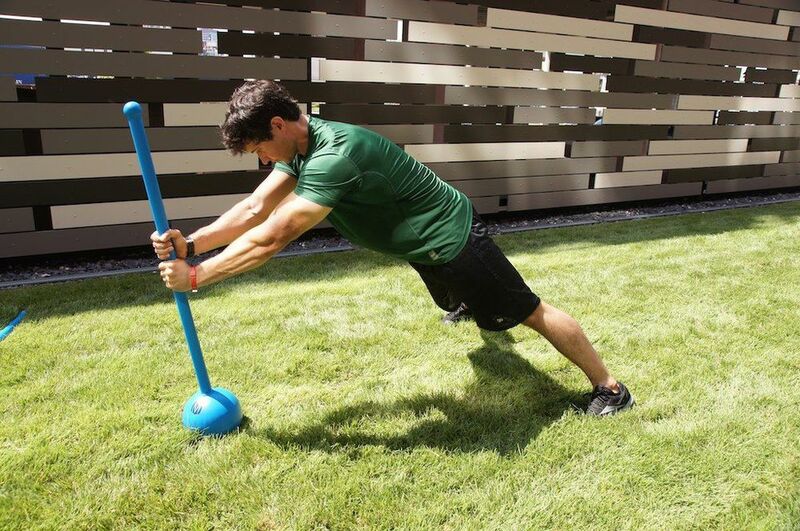 This makes it difficult for beginners, less effective exercise, with concerns of the wrist, grip, and safety. MoveStrong blue color is standard powder coat finish. Black available upon request. Inquire about other colors available. Allow 2-4 weeks for delivery. Continental US shipping only for online orders. Contact us for special needs, lead times, additional info and shipping needs to complete your order. It’s apparent the body needs a continued variety of stimulus to maintain improvements in fitness levels and functional strength. Unbalanced training tools, such as a kettlebells or sandbags, increase muscle activation and core stability to move these odd-shaped and unbalanced weighing objects through space. 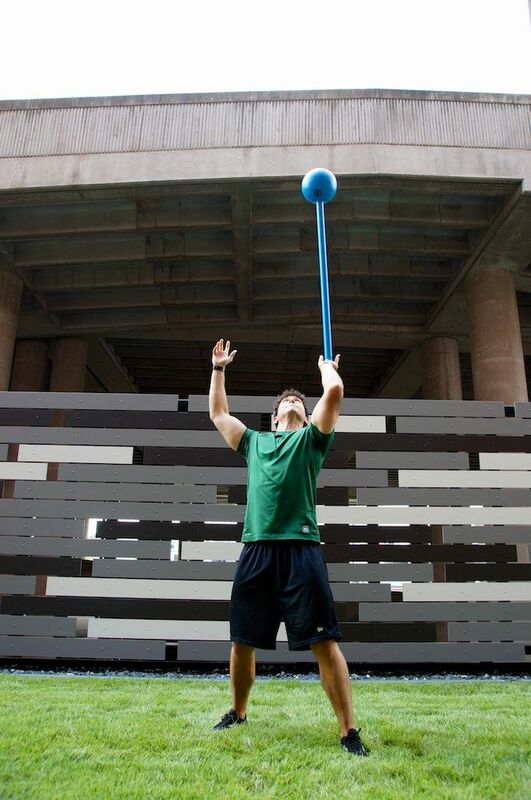 This makes for developing more efficient total body usable strength and keeps fitness every changing and fun!